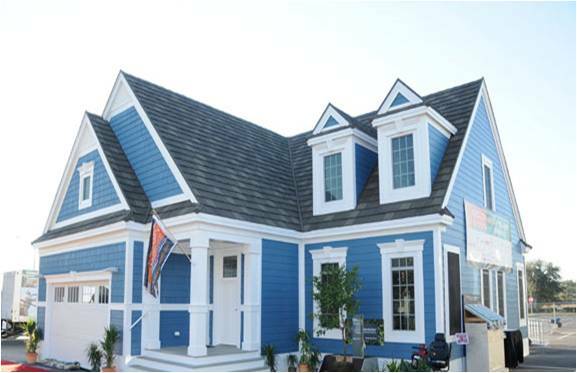 Recently, BEAM co-sponsored the NextGen Flex Home at the International Builders Show. The home was built by Champion Builders and assembled just outside Orlando’s Orange County Convention Center. It is a home that takes into account the ever-changing needs of the American family. It provided builders with a learning laboratory where they could see how a home can meet the needs of digitally sophisticated, energy and health-conscious consumers and be fully functional for aging-in-place and disabled homeowners at the same time. A key reason BEAM chose to participate in the project was the fact that this home is being donated to an American hero. U.S. Army veteran Waldemar Alameda was severely wounded by an IED explosion while serving in Tikrit, Iraq. He suffers from severe leg and back pain, and while he can walk short distances, he uses a wheel chair most of the time. In addition he is diagnosed with traumatic brain injury and mild post traumatic stress disorder. The NextGen Flex House will offer a comfortable, functional place for Mr. Alameda to raise his family in close proximity to the VA Medical Center where he undergoes rigorous physical therapy. The family will move into the house in March. The ABC affiliate in Tampa covered the home's relocation to its new foundation. The recent International Builders Show brought to life the adage, "The Best Things Come in Small Packages." Builders today are building homes that are an average of 200- to 300 square feet smaller than they were just a few years ago. They're also healthier and much more energy efficient. And many of the products featured at the show were products that help make smaller homes more livable. A big draw at the BEAM booth was the new Hide-A-Hose. It stores the entire central vacuum hose within the tubing inside the wall. You simply pull out the length of hose you need, start cleaning, then use the power of the central vacuum system to retract the hose into the inlet valve when finished. Not far from the convention center in Orlando, sits the KB Home Greenhouse. It's Builder magazine's latest concept house and it was designed by Martha Stewart. The 2,667 square foot home is so efficent, it produces as much energy as it uses. It also includes a BEAM Serenity IQS Central Vacuum System to help maintain healthy indoor air quality.